A Georgia private school’s commencement ended abruptly after the school’s director made a racially charged remark, which she blamed on the Devil in an apology email to parents. 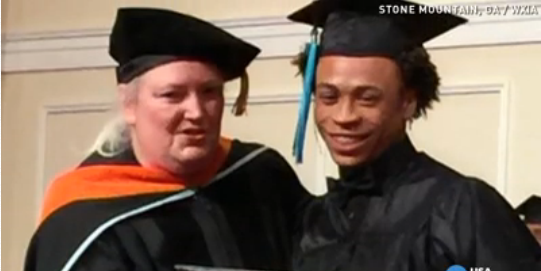 How did one comment at a 45-student graduation lead to national coverage on CNN? Here’s a step-by-step breakdown. 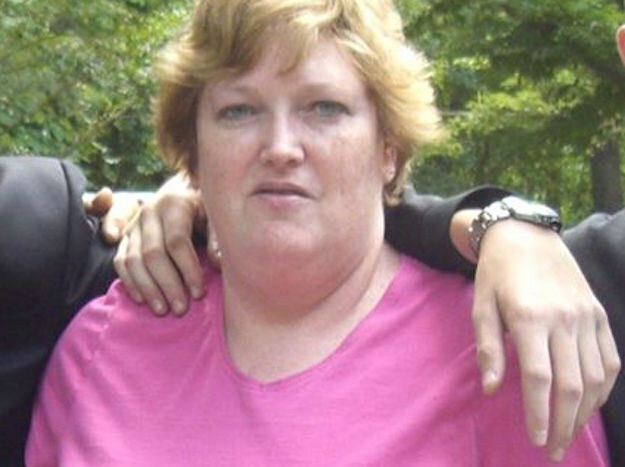 Nancy Gordeuk, founder and director of TNT Academy (a non-traditional education center in Stone Mountain, Georgia) mistakenly skipped the class valedictorian’s speech in the program, leading many attendees to head for the exits as wrap-up music played. In this video, Gordeuk calls the departing people rude, and refers to one unseen attendee as a “goober” and “coward” for allegedly standing up and recording the ceremony on their tablet near the stage. After imploring families not to leave because of her mistake and ordering staff to close the doors, Gordeuk drops this bombshell. Students angrily leaped from their seats and left the stage. Others took to Twitter to express their anger. 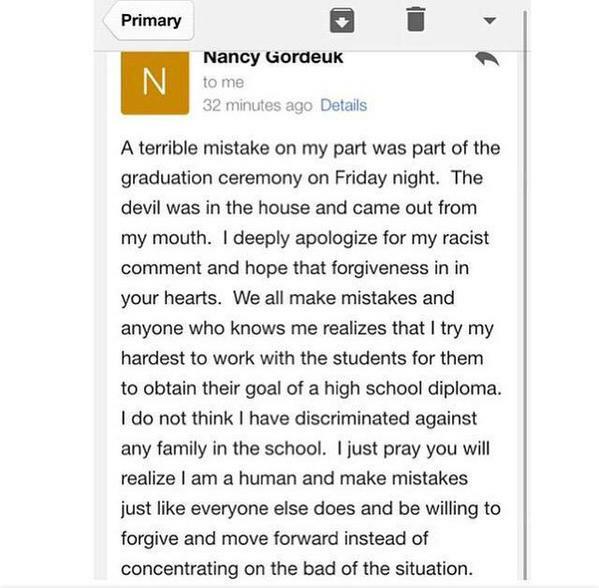 Gordeuk emailed parents an apology, partially blaming Satan for her words. 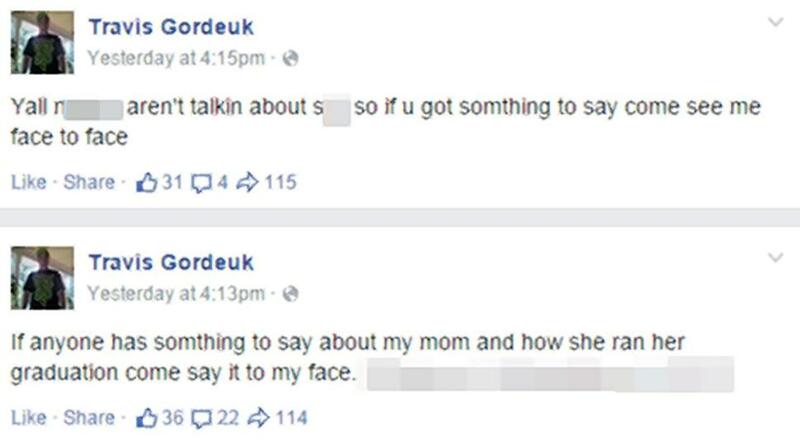 Gordeuk’s son took to Facebook to defend his Mom, challenging people to come meet him ‘face to face’ and using a racial epithet in the process. Today, Gordeuk defended her words, telling NBC News she didn’t believe they were racist. “I didn’t know ‘black people’ was a racist term. I didn’t say the N-word or anything like that ’cause that isn’t in my vocabulary,” Gordeuk said. One of the graduates, Donte Lambert, said he holds no ill will and wants to focus on the positive: he has his diploma and the support of his family.